Calvary Fonoti’s first start for Auckland has been a long time coming. 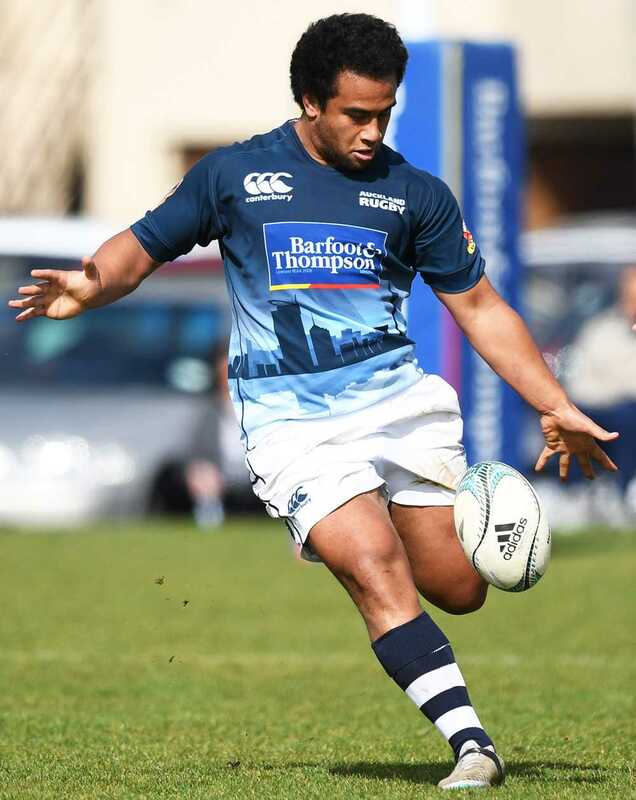 From being an Auckland secondary school’s rep in 2011, Fonoti’s rugby journey has taken him to the deep south and back. Tomorrow night he will run out for his second Auckland cap, his first start, in front of family and friends at Eden Park. Mitre 10 Cup Assistant Coach Bevan Cadwallader said Fonoti’s story is one of hard work and perseverance. “It hasn’t always been easy for Calvary but in 2016 he shown renewed focus, commitment and an attitude which has seen him rewarded with a return to Mite 10 Cup,” said Cadwallader. Fonoti was a New Zealand School-boy representative in 2011 and after leaving school went to Manukau Rovers for his club rugby. In 2013 he was called into the Southland Stags squad, and was contracted again in 2014. “I went down during the club season and it was a big learning curve for me. I missed home. I missed playing for Rovers and all the people there,” said Fonoti. It was in his second season in Invercargill that Fonoti sustained a knee injury that sidelined him for eight months. His return from injury, and to club rugby caught the attention of the Auckland coaches and Fonoti was named in the 2015 squad. He made one appearance off the bench against Northland. It was that brief taste of provincial rugby that again motivated Fonoti in 2016. “I have heaps of support from where I’m from, out in Mangere, if I didn’t push it again this year I would be letting them down,” said Fonoti. He isn’t the only Mangere based play in the team, Fonoti played 1st XV rugby at Onehunga High School alongside Taleni Seu, last week’s debutant Stacey Ili ad well as Josh Kaifa who is set to debut tomorrow night. Outside of Mitre 10 Cup, Fonoti has just started working at his beloved Manukau Rovers club in a Rugby Development Officer position. But for now the focus is on running out onto Eden Park tomorrow night in the blue and white hoops.